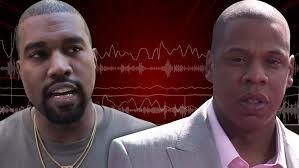 Kanye West is holding a major grudge against Tidal and Apple, and now he’s blasting the “bulls***” between them for destroying his super-collaboration with Drake and Jay Z.
Kanye launched into the rant during his Seattle concert Wednesday night … right before he performed Drake’s hit, “Pop Style.” The track originally included all 3 superstars — but a showdown between streaming services shut it down, and it’s obvious ‘Ye still pissed. And get this … it wasn’t just finances that screwed the deal — Kanye says Drake’s nemesis, Meek Mill, was also involved. For once, we can ALL get on board with this ‘Ye rant — which, for some reason, included a bit about Kim’s Paris robbery. Oh, and here’s what you missed out on. Thanks a lot Apple, Tidal … And Meek.